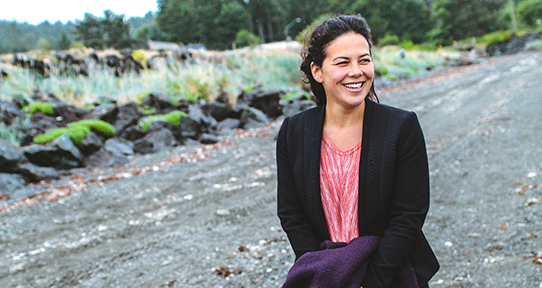 Severn Cullis-Suzuki (MSc 2007) says her experience at UVic formed the basis of her work as an environmental activist, culture advocate and broadcaster. Students in Environmental Studies gain the skills to participate in the resolution of environmental challenges through decision-making, intervention, conservation, management, education and participatory research. For example, these skills, combined with studies in political ecology, provide students with a background to pursue careers in public policy and environmental consulting. Our students examine how human activities affect the landscape and develop integrated approaches to solving environmental problems. Environmental Studies understands the importance of experiential learning to effectively apply our academic knowledge to the real world. It delves into some of the world's major problems with the intention of pushing students to provide solutions. The interdisciplinary focus of Environmental Studies fosters the ability to integrate multiple perspectives and frameworks of analysis—making our students ideal candidates for jobs in the public, private and non-profit sectors. Learning to work collaboratively—with local and international communities, First Nations, government agencies, environmental and other non-governmental organizations and corporations—builds critical skills in consultation and consensus-building. The interdisciplinary nature of our programs and co-op opportunities give you a head start in preparing for your ideal career. Severn believes in science, traditional knowledge, and communication in the pursuit of sustainability. She has worked on environmental and social justice issues her whole life, sitting on the Earth Charter Commission and Council, cycling across Canada for clean air, and is on the board of directors for the David Suzuki Foundation. She speaks widely on ecological and social issues, and has hosted TV shows including APTN's "Samaqan: Water Stories." Severn's current life focuses on Reconciliation between the indigenous and non-indigenous members of the family of Canada. 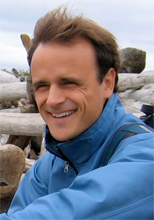 Paul has been consulting on landscape restoration, site planning and urban design projects for 12 years, and is a principal at Murdoch de Greeff Inc. Landscape Architects in Victoria, BC. 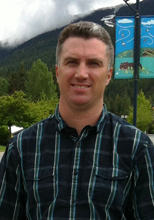 His background in geomorphology, horticulture and mine reclamation affords him a unique perspective in urban systems restoration. 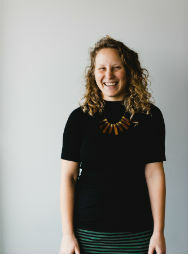 Courtney works with EWB Canada to develop innovative evaluation processes to measure the impact of their African programs. Courtney also runs her own evaluation consulting business where she works with diverse clients to help them understand the impact of their work. 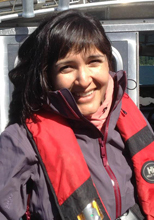 Leigh has been working in the Squamish Nation community to help design and teach ethnobotanical programs. 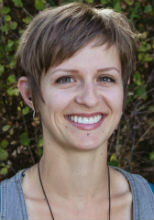 She is currently part of a research team looking at the prevention and management of Type 2 Diabetes in Canadian Indigenous communities through the increased use of traditional medicinal and food plants along with culturally related exercise. 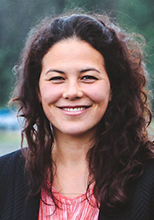 She also designs and teaches courses at Quest University in Squamish on ethnobotany, ethnoecology and local Squamish Nation culture and history. Ryan directs the Redfish School of Change, a field-based education program for university students committed to creating positive ecological and social change in the Salish Sea. The program brings together students from both sides of the border to learn about leadership, ethnoecology, and community based learning while travelling by bicycle, kayak, ferry and foot throughout this region. Ryan also is a sessional lecturer, academic coordinator and undergraduate advisor for the School of Environmental Studies. As a Planning Analyst, Kevin reviews process development and rezoning applications and prepares related reports and recommendations. He also conducts research, negotiates changes with owners and architects, liaises with developers and the public, and presents applications at Council meetings, open houses and public hearings. Ashli is a PhD candidate at UBC's Liu Institute for Global Issues exploring the role of the arts in reclaiming voice for oppressed or marginalized populations and proposing alternative systemic policies that better protect community voices on an international level. She's the President of the Mosqoy Board of Directors, an international charity that provides economic opportunities for marginalized highland communities of the Peruvian Andes, while nurturing their threatened Indigenous culture. 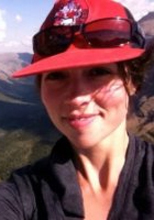 After completing her Restoration of Natural Systems diploma with a final co-op term in Waterton Lakes National Park, Helena returned to Parks Canada as a Resource Management Officer. 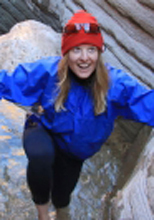 She has worked with Parks Canada in a variety of positions since 2011 in ecosystem monitoring, management and restoration and has been involved in a variety of wildlife and aquatic ecological research and monitoring initiatives while exploring the epic biodiversity found in the Crown of the Continent. Kat inspires British Columbians to value and defend nature through writing, graphic design and social media. Kat sits on the board of the Pacific Peoples’ Partnership and has been the lead organizer for PPP’s annual One Wave Festival since 2009. 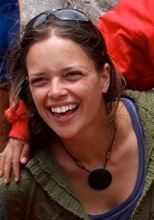 Through her Master's research, she helped to establish the School of Environmental Studies' permaculture design course. Read more.